4 How Many Genes, Alleles, and Loci Within a Genome? 6 Phenotypic Variation, Adaptation, and Duplication: Are Copy Number Genes an Easy Solution to Respond to Rapid Changes? Genes and Evolution, the latest volume in the Current Topics in Developmental Biology series, covers genes and evolution, with contributions from an international board of authors. 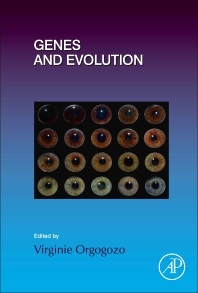 The chapters provide a comprehensive set of reviews covering such topics as genes and plant domestication, gene networks, phenotypic loss in vertebrates, reproducible evolutionary changes, and epithelial tissue.